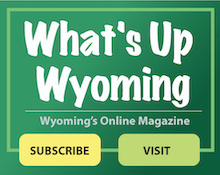 Stay up-to-date with the latest happenings in Wyoming with What’s Up Wyoming. This online magazine keeps you current about everything that’s going on around town. You’ll find information about events and news, plus feature stories on topics ranging from City operations to lifestyle pieces about local residents and community activities. In addition, the site features beautiful full-color photography by area residents, capturing the character of the community. Created and maintained by the Promote Wyoming Commission, What’s Up Wyoming’s mission is to keep residents informed and promote the unique features of the Wyoming community. Sign up to receive updates whenever new articles are published. Simply go to WhatsUpWyoming.com and click the subscribe button.